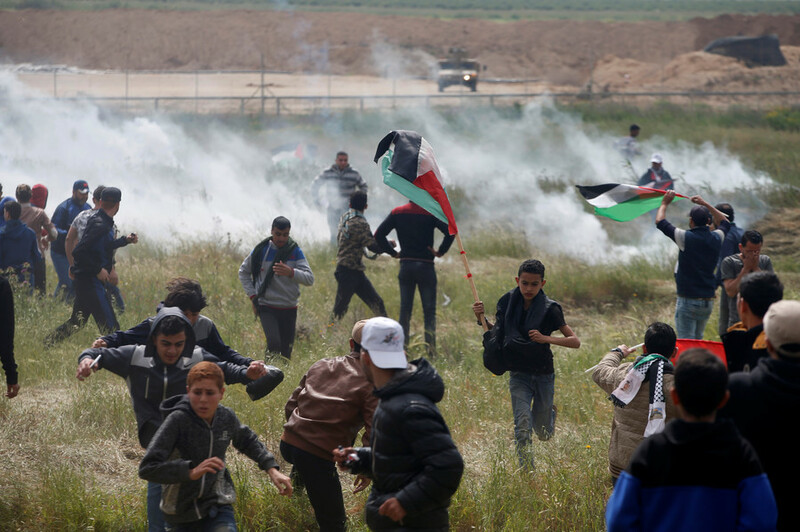 Two teenagers are among the ten killed at the Gaza-Israel border during the second week of the Great Return March protest. Dozens of Palestinians have also been injured by the Israel Defense Forces. The Palestinian Red Crescent earlier confirmed the first death as that of a 38-year-old man, telling RT.com: "PRCS teams provided first aid to 81 injured in Gaza strip; 36 out of the total number are live bullets injuries.” Three of those are serious injuries to the chest and head. The second casualty was also 38, while the third was a 16-year-old boy, the Palestinian Ministry of Health said. A total of eight people have been reported dead so far. 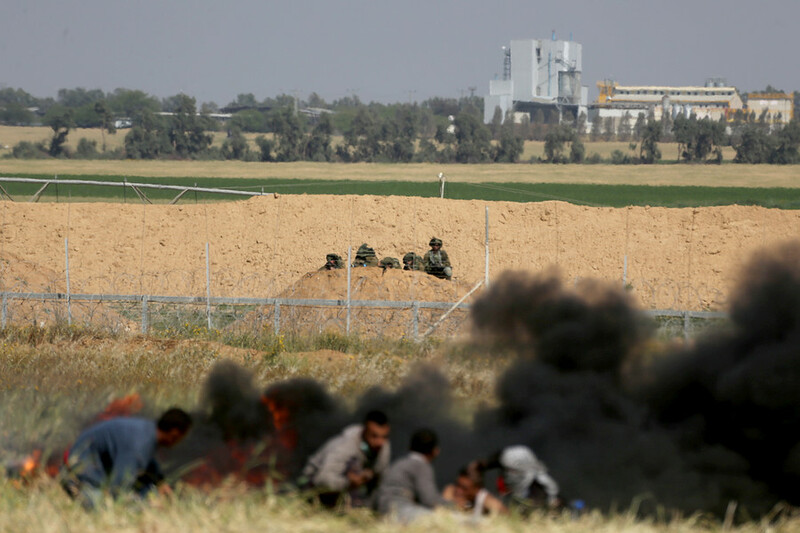 The IDF launched tear gas and opened fire on protesters in the northern Gaza Strip, east of Jabaliya, Haaretz reports, with Israel deploying snipers and tanks along the border as protests gain traction. Palestinians have burned tires during protests in an effort to obstruct the view of Israeli snipers, while Israel says the smoke could hide terrorists. 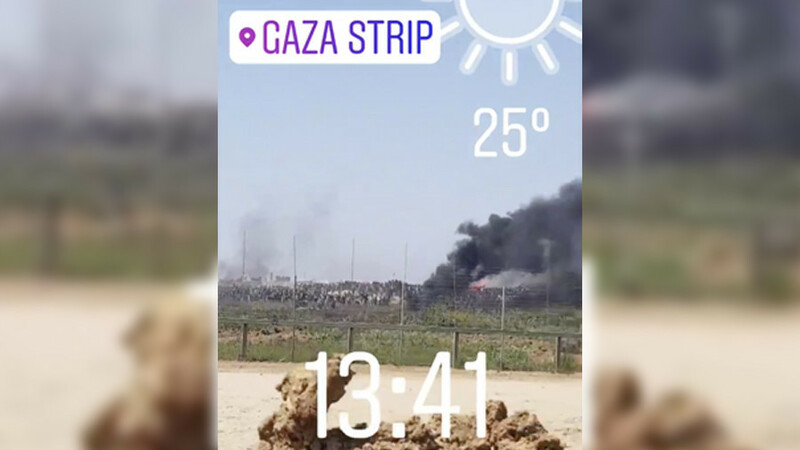 RT footage of Shijaiyah in east Gaza shows thousands of Palestinians gathering behind a cloud of black smoke as the IDF fires tear gas into the crowd. A number of ambulances are at the scene. Palestinian Ministry of Health Spokesperson Dr Ashraf al-Qudra confirmed the death of a 17-year-old in Friday’s protests, and said dozens of others were injured by gunfire, while hundreds required medical care. Last Friday’s protests resulted in the killing of 20 Palestinians, while hundreds more were wounded by live Israeli fire after snipers were instructed to shoot at protesters. "The use of snipers was against specific people who were specific perpetrators of violence," IDF spokesperson Lt Col Peter Lerner said. 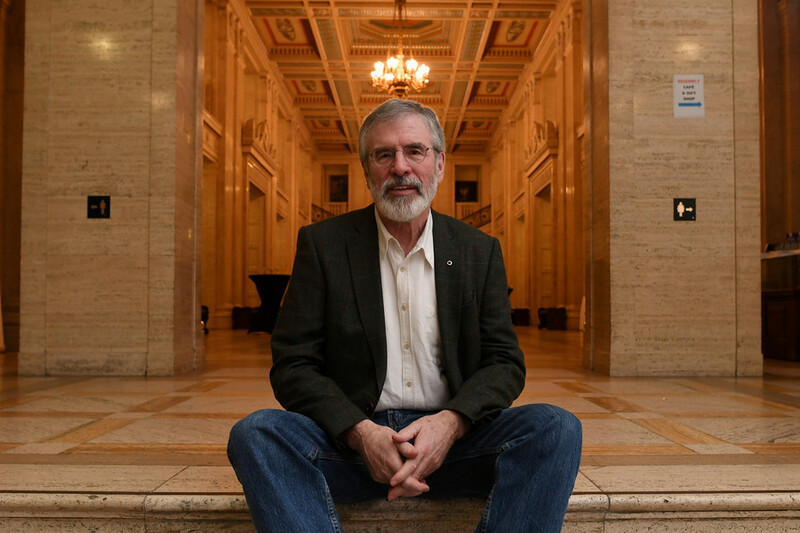 Footage from the clashes showed a number of unarmed protesters gunned down. The UN Office of the High Commissioner for Human Rights this week urged Israel to ensure security forces do not use excessive force against Palestinian protesters. 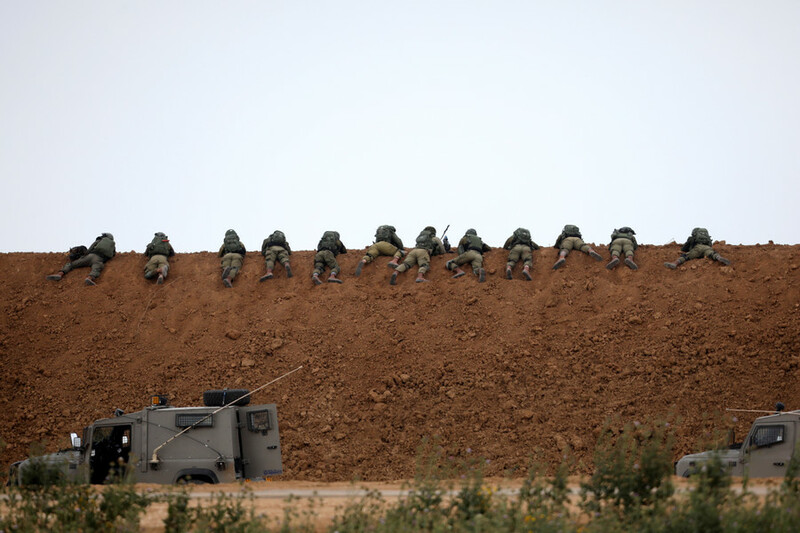 Israeli forces have been given orders to shoot protesters who get too close to the border fence. The US urged Palestinians to engage in peaceful protests and to stay 500 meters from the border with Israel. Israeli human rights group, B’Tselem, placed ads in Israeli media urging IDF soldiers to refuse orders to fire at unarmed protesters. The Great Return March is planned to continue up until the anniversary of the Nakba on May 15, which Palestinians refer to the mass exodus from their land during the establishment of the state of Israel. Israelis celebrate this as Independence Day. 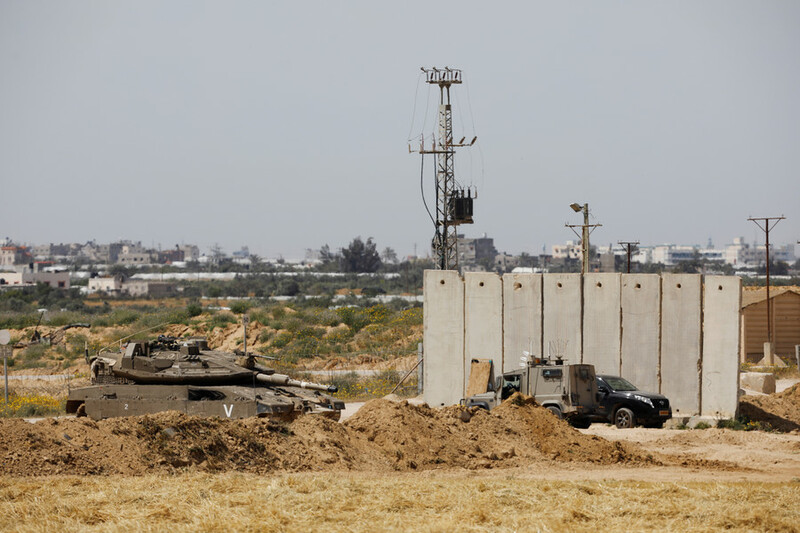 Gazans have gathered near the border with Israel, setting up a number of tent encampments. 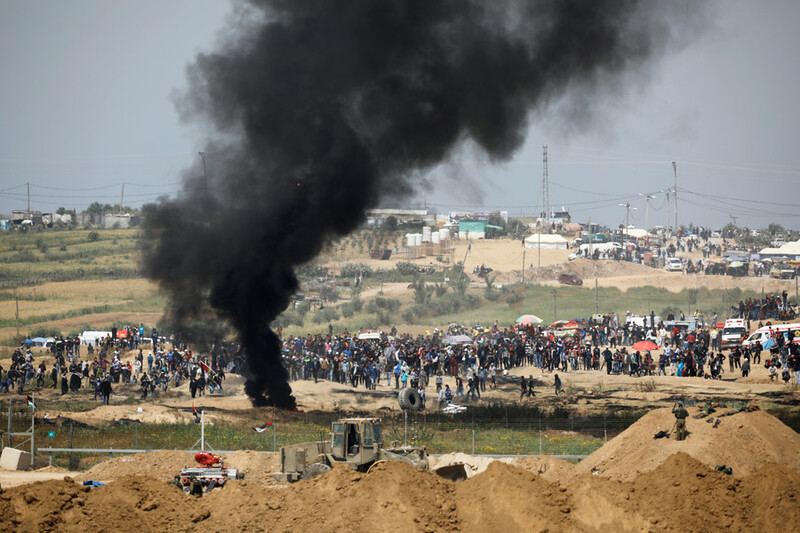 Hundreds gathered along the border near Khuzaa before noon prayer on Friday, and Israeli forces fired tear gas which landed inside the camp, the Times of Israel reports. Gaza is home to 2 million residents, many of them refugees expelled from Israel who maintain the hope that their right to return will one day be granted. The UN warned last year Gaza would become “unlivable” in three years. The Palestinian Authority and Hamas, which rules the Gaza Strip, have called on the International Criminal Court to investigate last Friday’s deaths.